Diversity provides quality, an indispensable element for the good management of business processes. The promotion of gender equality in the business environment strengthens human capital and increases the quality of management processes, in addition to bringing nancial results and allowing the creation of a better world, with more peace and solidarity for all, men, women, and families. Governments and institutions throughout the world gave an impulse for the participation of companies in this task. In Brazil, the Secretariat for Women Policies created, in 2005, the “Gender Equality Seal”, awarded to public and private companies. In the same line, in 2010, UN Women and the UN Global Compact launched the “Women ́s Empowerment Principles – Equality Means Business” (WEP). 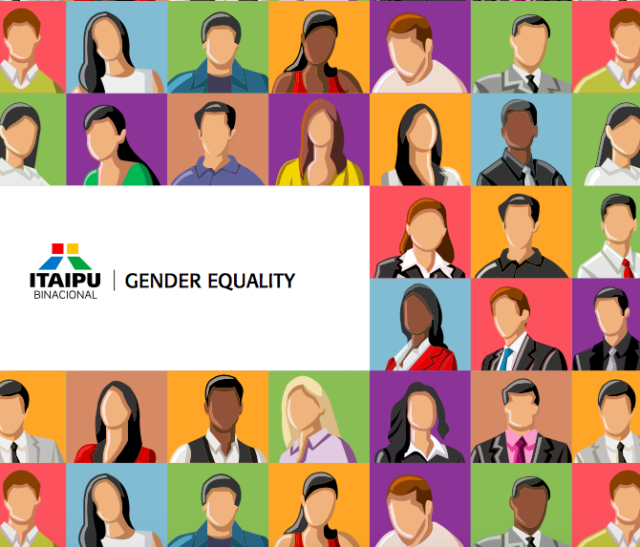 Guided by the premise that women and men must have the same opportunities, without discrimination, Itaipu Binacional decided to create this Booklet, which is based on the “Seven Women ́s Empowerment Principles”.